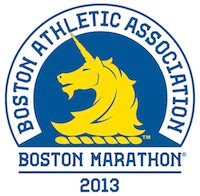 As usual there will be an abundance of NL Runners heading to the April 15 Boston Marathon this year such as Gaye Roberts and Shawn Stratton. Have you qualified? Are you making the trip? Looking for company on some of your long training runs over the next few months? Let us know in the comments below. If you want to connect with other participants you can publicly share your contact info in the comments, or drop an email to admin@nlrunning.com and we'll put you in touch with others.